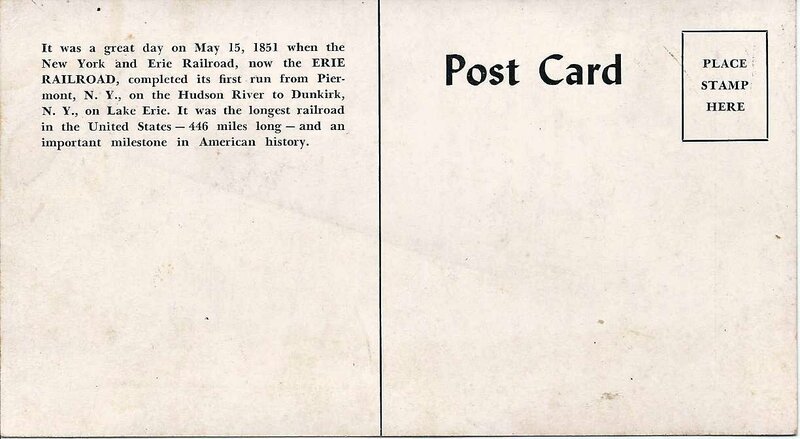 Postcard from 1951 commemorating the 100th Anniversary of New York and Erie Railroad's completion of a 446 mile span from Piermont, New York, on the Hudson River, to Dunkirk, New York, on Lake Erie. 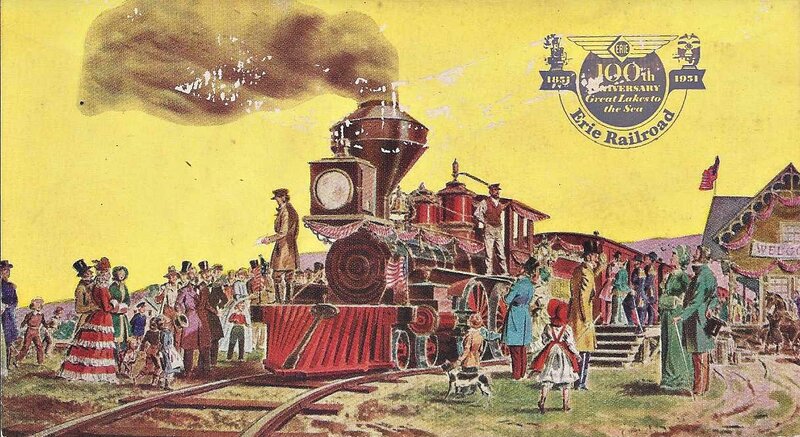 The New York and Erie Railroad eventually became the Erie Railroad in 1895. It was a great day on May 15, 1851 when the New York and Erie Railroad, now the ERIE RAILROAD, completed its first run from Piermont, N.Y., on the Hudson River to Dunkirk, N.Y., on Lake Erie. It was the longest railroad in the United States - 446 miles long - and an important milestone in American history.